Upgrading your front of classroom tech just got easier! Are you looking to upgrade old interactive whiteboard technology? Or perhaps you have a different interactive panel and want to switch to Promethean? 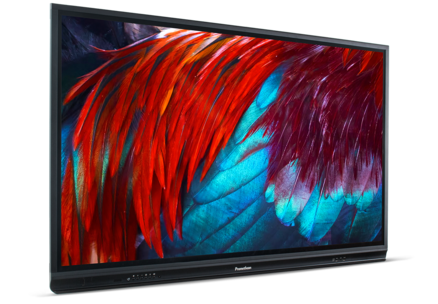 SCS, in partnership with Promethean, is making switching or upgrading easier, offering you the chance to upgrade your front of classroom technology and save up to £200 per ActivPanel! The rules are simple! Exclusive to schools in Northern Ireland and via the EA Framework, all you have to do is provide us with the details of the old or competitor technology you are swapping out to unlock your special discount! The discount only applies to the ActivPanel 70” and 75” and is on orders placed and shipped by 31st March 2019! This is a limited time offer. Order now to avoid disappointment. The EA have a contract with AMI for the disposal of obsolete/surplus electrical equipment via EA Contract 70097, please contact the EA for more information. Alternatively, Promethean is WEEE compliant! Terms and Conditions: Any discount agreed is from standard pricing, all other offers and/or special bids are excluded. Offer is only available via SCS in Northern Ireland and only applicable for schools under the auspices of the EA contract 70199. Offer is only available when upgrading from competitor products and/or interactive whiteboards to qualifying products AP6-70 and AP6-75 only. Offer is subject to validation by Promethean and applicable on orders placed and shipped from 10/09/2018 to 31/12/18. Product orientation will only be offered on orders of 4 or more ActivPanels. Promethean reserves the right to refuse, cancel or amend this offer at any time without notice. Errors and omissions excepted. Join our mailing list to receive the latest news, updates and special offers from SCS.